Welcome to BACO Enterprises, Inc.
Baco Enterprises Inc. is four companies in one. We are a distributor of fasteners, a threaded rod and anchor bolt manufacturer, a steel service center, and a miscellaneous steel fabricator. To our knowledge, no other company has attempted to put these four companies together, but our valued customers understand. Not only are we the only supplier of steel and fasteners under one roof, but we are based in NYC. The city that never sleeps because you can be sure men and women are working to build and restore New York City 24/7. Like the city we have grown with, we are innovative and evolving into a full service manufacturer & supplier. Some of the products we make in NYC are hex bolts, round head bolts, timber bolts, hex nuts, coupling nuts, jam nuts, slotted nuts, dock washers, plate washers, shims, custom wedges, anchor bolts, threaded rod, and much more. As a local misc. steel fabricator, we welcome the opportunity to fabricate for out-of-town fabricators that include "small runs," items that were lost on the jobsite, or items that were fabricated incorrectly. 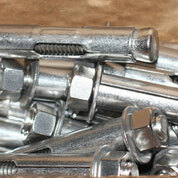 Our delivery service can produce the fasteners and steel you need in a hurry. With a fleet of ten trucks and trusted relationships with freight carriers, we can offer next day service to NYC, Washington DC, Philadelphia, Buffalo, Boston, Concord and neighboring towns. The rest of the east coast is two days away. 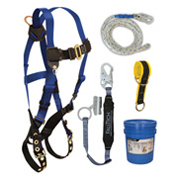 Over the past thirty years, we have become many contractors favorite and most reliable vendor. Please feel free to browse our website, call, or email with any inquiries. In all sizes for every application, from the biggest bridge to the lightest steel connection. 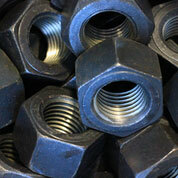 Largest and most diverse inventory of structural and commercial grade fasteners on the East Coast. Leading manufacturer and distributor of anchor bolts, threaded rod, and any round that needs threading. 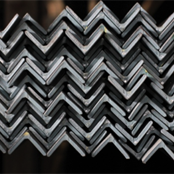 We stock I Beams, Angles, Channels, Bars, Tubing, Pipe, Plate, Diamond Plate, Sheet, Expanded Metal, Grating, Decking, and Rebar. Baco fabricates leveling and base plates, washer plates, clip angles, safety posts and brackets.